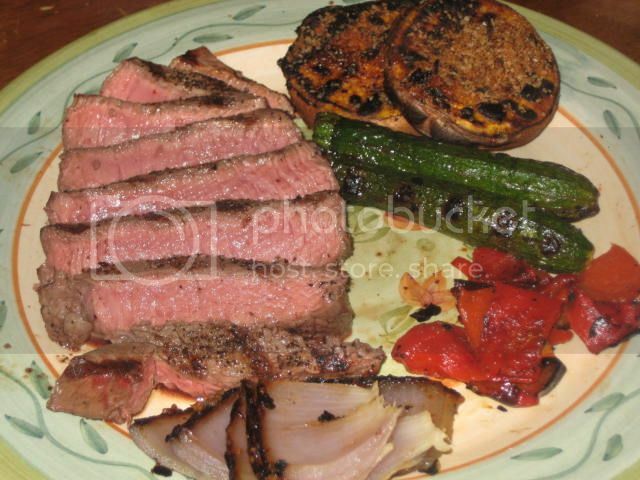 The Wolfe Pit: Petite Sirloins and a Vegetable Smorgasboard! 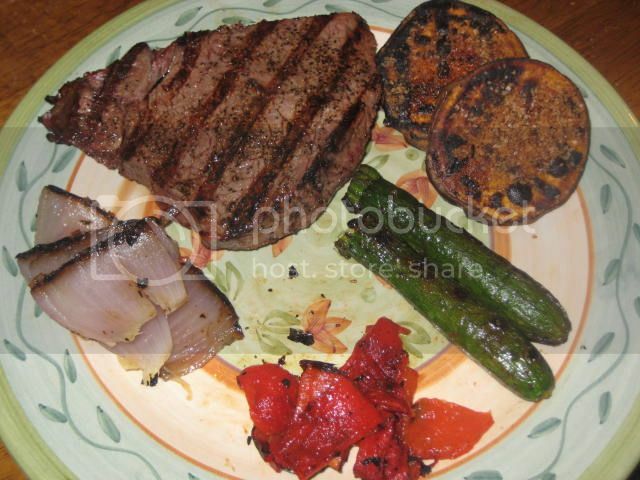 Petite Sirloins and a Vegetable Smorgasboard! 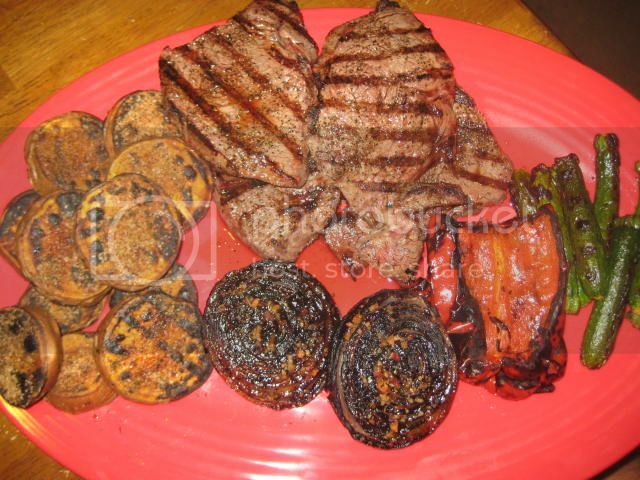 Sirloin is my by far favorite and I mean absolute FAVORITE cut of beef! I would order it 10 times out of 10 over a Filet, Ribeye, Porterhouse.....well you get the point. 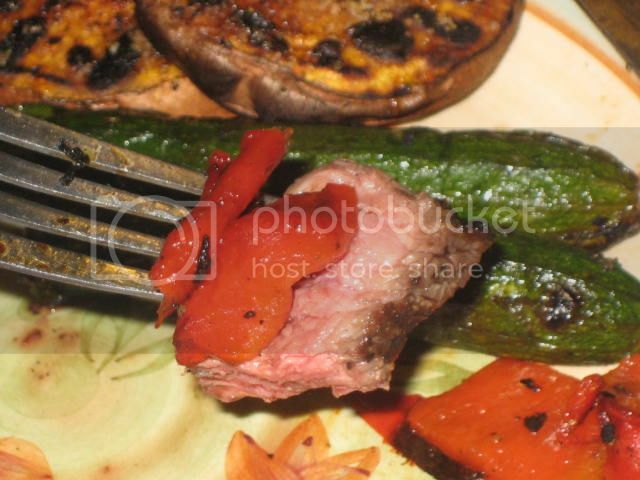 It has by far the best beefy flavor, not a lot of fat and is very tender if cooked properly. 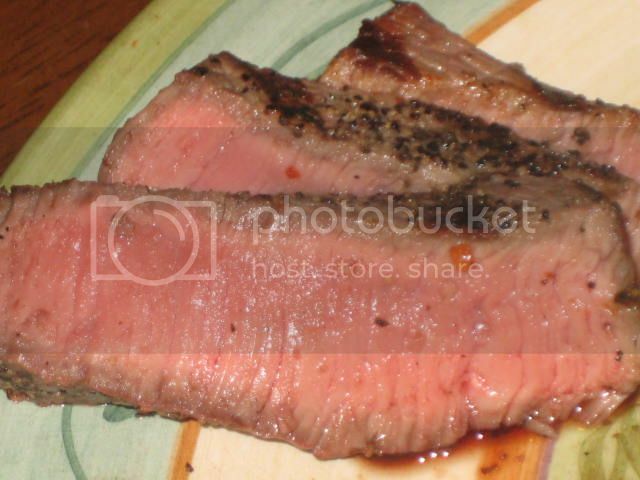 Okay, by now I think you all know I love sirloin, so let's get to cooking! Started off with a red onion that had been halved, but leaving the root ends in tact. This keeps the onion from falling apart. 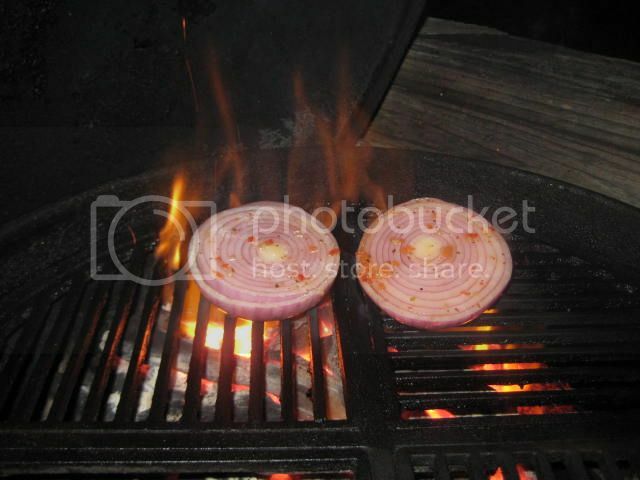 Marinated the onion in Zesty Italian Dressing. The onion takes the longest too cook, that's why it's first! If you're in a hurry, cut the onion in smaller pieces and hold it together with toothpicks. 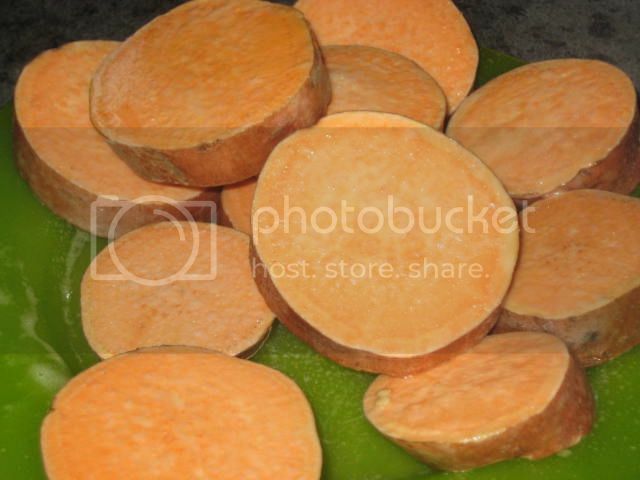 Then the sweet potatoes which have been sprayed with Pam. 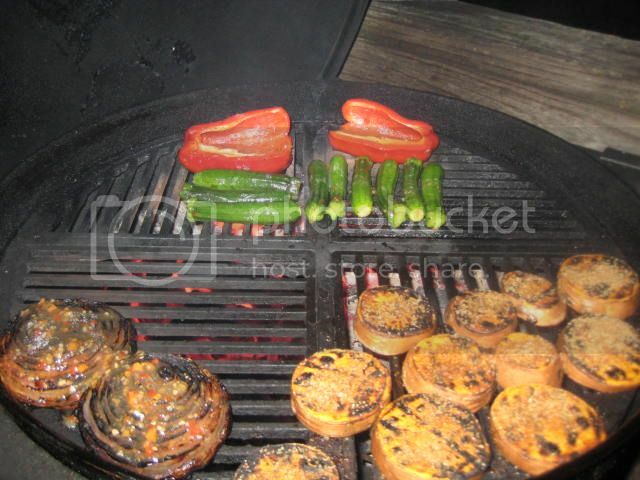 Baby zuchini and red bell pepper that have been marinated in Zesty Italian dressing round out the veggies. 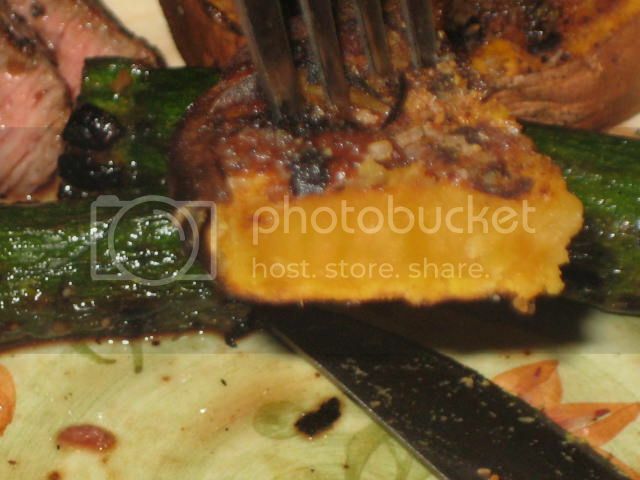 The sweet potatoes were grilled quickly over direct heat just for color. Not too long, they will burn very fast. 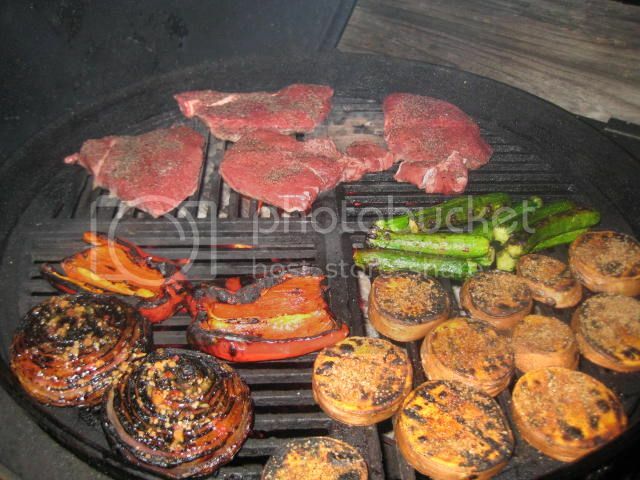 Once they had a nice color, I moved to the indirect heat side of the grill and sprinkled liberally with Wolfe Rub Original and let continue to cook until tender. 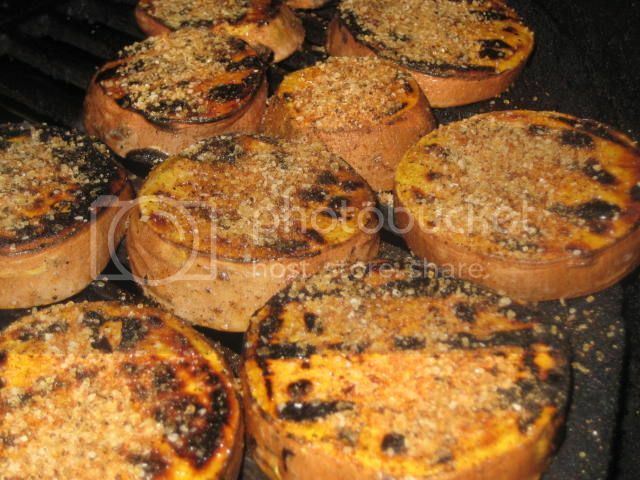 The sugar and the cinnamon in the Wolfe Rub are fantastic on the sweet potatoes along with just a touch of heat. 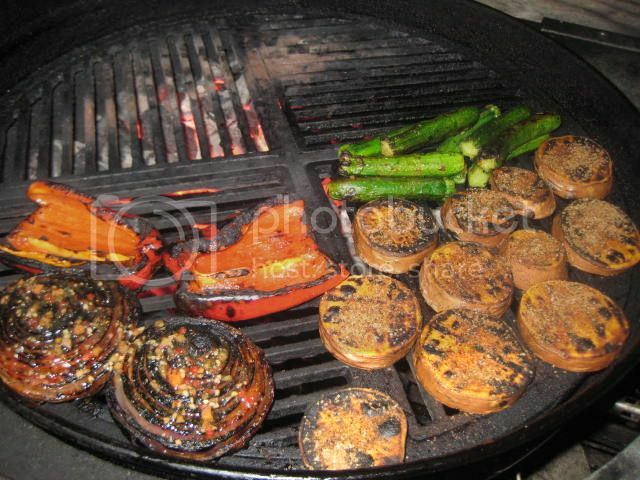 Now the pepper and zuchini go on. 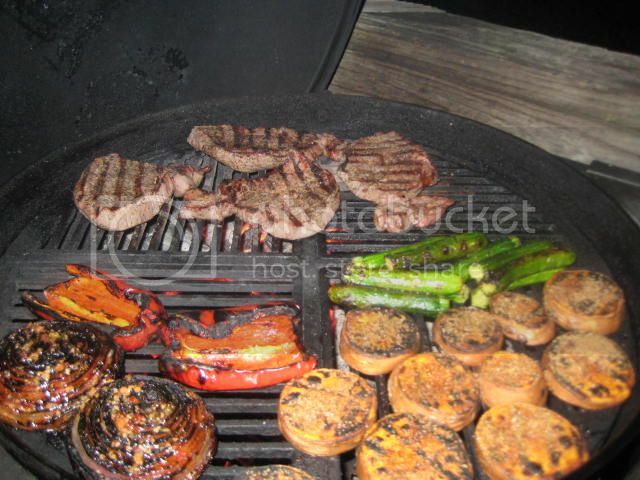 All of the vegetables are almost done. Notice I like to drizzle more Italian Dressing on top of the onions to add more flavor. I let the sirloins sit out for about an hour to come up to temperature. 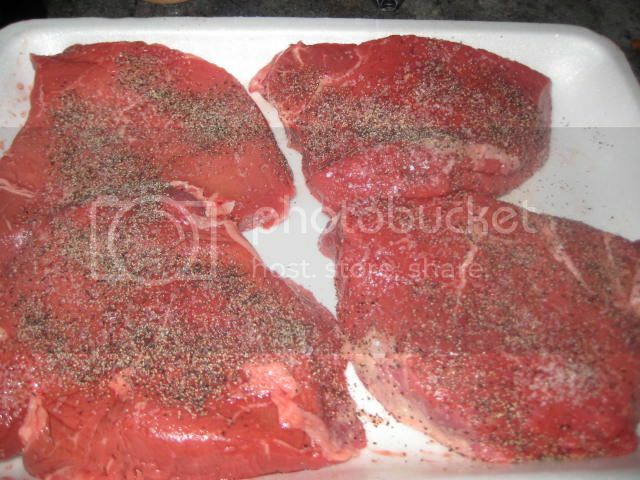 Seasoned with Kosher salt and black pepper. 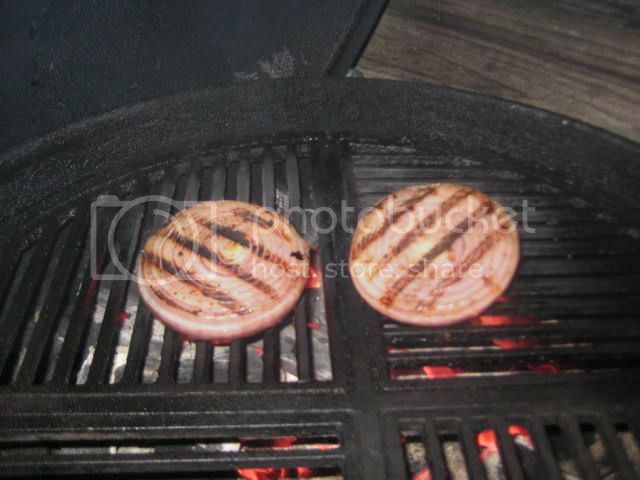 Onto a hot grill for 2 minutes per side, these were fairly thin and will not take long at all for a medium rare finish. After the flip and will cook for 2 more minutes.